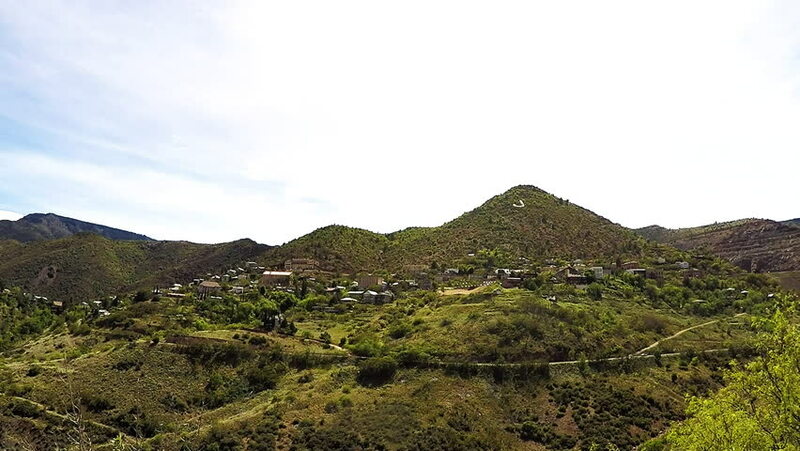 JEROME, AZ/USA: May 4, 2017- Low angle wide shot of the city of Jerome Arizona. Clip reveals old mining town nestled in the hills and mountains from a distance. hd00:20Thick clouds passing the mountain top. South of Tenerife Island.